Whoa! 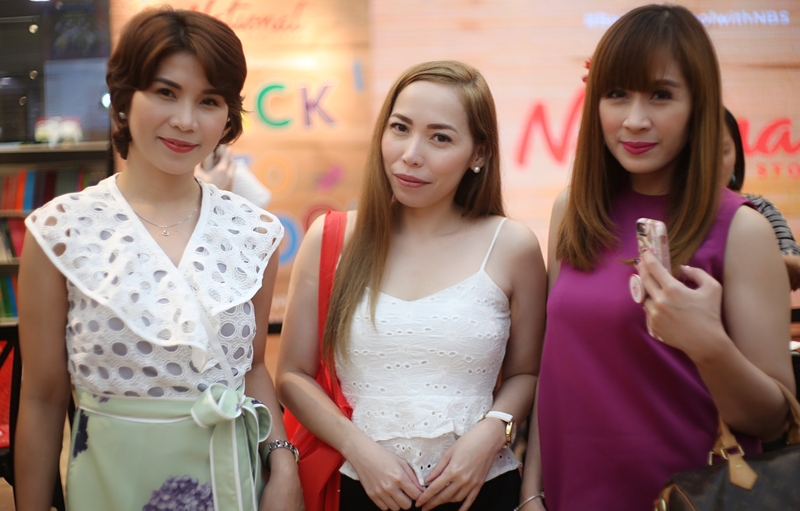 From summer to back-to-school season real quick! Can't believe summer vacation is almost over and kids are starting a new school year. Are you all excited!?! When it comes to "Back To School" shopping, I always get excited! I looooove buying new school supplies for my kids and checking it off the “To Buy” list. 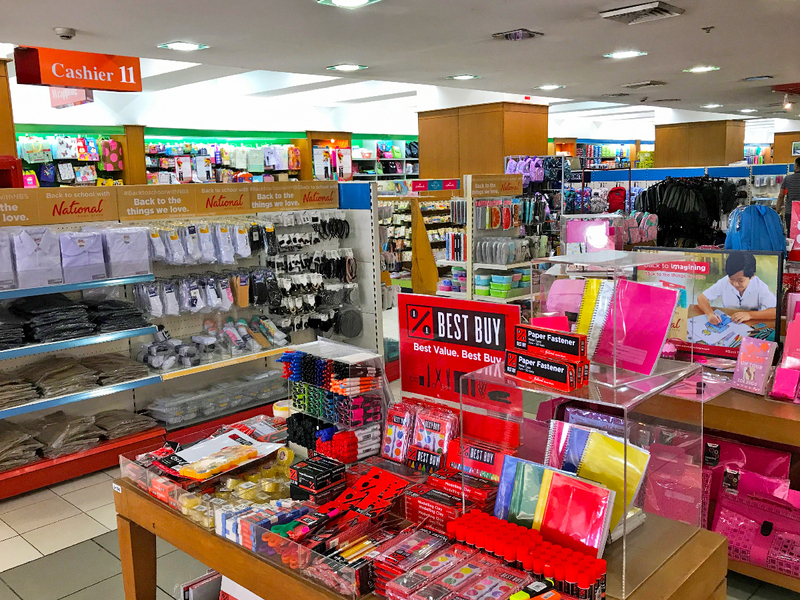 To complete my back to school shopping, I was invited by National Book Store, my fave one-stop shop for everything I need for back to school, for a shopping spree. My daughter had so much fun checking out all the supplies I got for her! She said I got everything that she needs for school. Well of course, nobody knows it better than the gorgeous NBS moms! Gotta love the Back-to-School Zones at National Book Store. The areas where you can find the basic school supplies, uniforms, shoes, bags, and more. Shopping is a lot easier because the items are grouped together for a quick, easy, and convenient shopping experience. My shopping haul includes the Grab & Go packs. You'll find four different kinds – starting as low as P145 – and are handy packs filled with specific supplies you need. 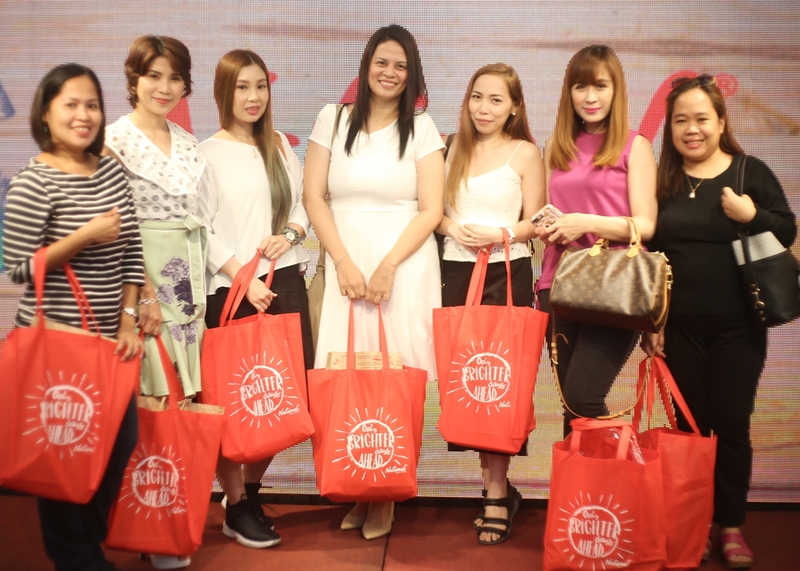 There are also the Low Price Deals – cute and handy items for as low as P20 each! Here is a close up of my daughter’s pink backpack. It is a perfect size for her body and it is waterproof too. It has a small front pocket and a netted pocket on the side, perfect for her water bottle. 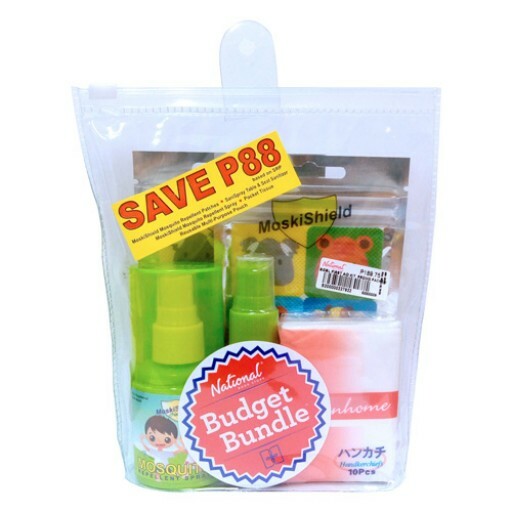 I also grabbed one of these Budget Bundles because it's already a complete set and I get to save money too! This is one of the things that my daughter is required to bring at Miriam College. Sometimes it's hard to find a few items and get all in one go. Good thing National Book Store has a ready set of toiletries and first-aid kits for our kid’s daily back to school health supplies in their bag. School paper is probably one of the hardest things to organize, but it doesn’t have to be anymore! A file folder is a wonderful way to organize your kid’s school papers for good, and to ensure that all those pieces of paper have a place without even having to think about it. It brings the stress level down, knowing where to put and where to find all those very important pieces of paper (and there are so many besh!) because the teachers like giving away handouts, activity sheets, tests, etc. To make it even easier, it includes color-coded labels so I can label each of the files by subject. One of my "Best Buy" items is the Master Cover Flexi-fix Book Cover which features adhesive strips at centre and edges for easy fix, and it's adjustable for different book heights. Super easy to use because you don't need tape, ruler or scissors na! Plus, it includes 10 name labels. Look at this cute ZIPIT Talking Monstar Insulated Lunch bag! It’s so adorbs! Naka SALE din sya, from Php600 to Php450! Not bad, right? Aside from the fact that it looks super cute, durable, BPA, PVC and lead-free, and it is insulated that keeps food tasting great at just the right temperature, it's super fun and interactive! Kids can watch their lunch bag come to life with its free mobile app. It’s super easy to use and guaranteed to add fun to your child’s lunchtime routine. My daughter absolutely loves art. She lives and breathes art, and I don’t actually know much about art. LOL Could I tell you the whys? Not really. I just know it’s important for my kiddo and she really likes creating and coloring stuff. So I got her a LOT of coloring materials and a huge sketch pad! Oh, and I’m spreading the love and sharing some great news for y'all! This Friday, NBS is kicking off the 2018 Grand Back to School Fair! This event brings together all of your needed school supplies, favorite brands, fun activities, cool freebies, and more. The first stop is at the Trinoma Activity Center from May 25 to 27, 2018, and then at the Glorietta Activity Center from June 1 to 3, 2018. The event runs from 10:00 am to 9:00 pm at both venues, and admission is completely free. 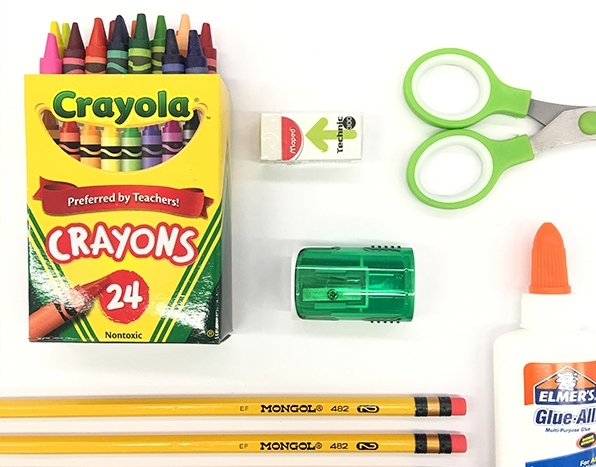 Shop for the supplies and accessories you need for back to school, enjoy great deals and special offers, and join the activities and get cool freebies from their partner booths. More great finds await! Registration starts at 10:00 am and continues throughout the day. Admission is FREE! This event is made possible, thanks to the participating brands: Adventurer, Avenue Mandarine, ban.do, Blackwing, Bic, Canon, Chameleon, Crayola, Crocodile Creek, Croco Tape, Deli, Disney, Dymo, Eeboo, Fabriano, Heidi Swapp, IFEX, kikki.K, Les Skewies, Leuchtturm1917, Marvy Uchida, Modico, Mongol, Online, Ooly, PanPastel, Papermate, Paper One, Pilot, Post-it, Rotring, Sakura, Sennelier, Sheaffer, Stabilo, Titus, Tombow, T-Pencil, Uni, Veco, Westcott, Winsor & Newton, Zig, and ZipIt. But wait, there's more... I got a cool giveaway on my Instagram, IG story and Facebook so check it out, guys! That’s a wrap! I hope you enjoyed this back to school supplies haul. Now, I would love to hear from you, where do you like to do your back to school shopping? Please let me know in the comments below, I would love to hear from you! 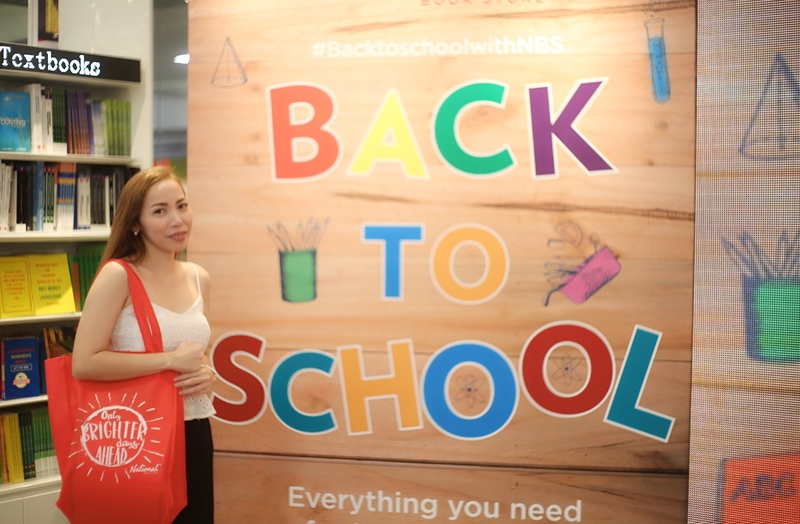 Share your back to school hauls with the hashtag #BacktoSchoolwithNBS. Follow National Book Store on social media - @nationalbookstore on Instagram, and @nbsalert on Facebook, Twitter, Viber, and YouTube. They may also be contacted through their delivery hotline 8888-627, or online at www.nationalbookstore.com.